Phone calls from the Spalding County Sheriff’s Office indicate numerous employees were involved in efforts to prevent the release of the David Gibson Internal Affairs investigative file. Sheriff Wendell Beam previously told The Grip he only withheld the record once a temporary restraining order had been issued by Judge Robert M. Crawford, but The Grip has learned Beam’s office refused to release the information prior to the issuance of that court order. 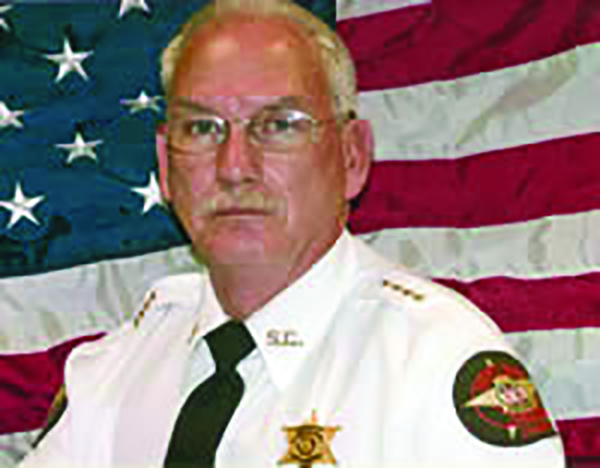 Despite multiple assertions by Spalding County Sheriff Wendell Beam stating his office was not involved in any cover up regarding the release of the David Gibson Internal Affairs investigative file, The Grip has obtained information indicating numerous employees of his office coordinated the efforts to obtain that temporary restraining order (TRO), and furthermore, refused to release the Gibson report prior to legal action being filed in Superior Court. Beam’s secretary, Ruby King, on Monday, June 15, filed a petition for declaratory judgment in Spalding County Superior Court, and Beam has repeatedly stated King took that action not as an employee of the Sheriff’s Office, but in her individual capacity. However, recorded phone calls dated June 12 demonstrate numerous S.O. employees were involved in the process that was coordinated at the Sheriff’s Office. The calls strongly focus on Tami Riggins, an employee of the Sheriff’s Office who on Thursday, June 11, submitted an Open Records request for the Gibson file. The Grip previously documented a June 12 phone call Riggins placed to Spalding County Attorney Jim Fortune during which Riggins stated SCSO Record Clerk Amy Martin was refusing to release the report, citing pending legal action that was to be undertaken by Thomaston attorney and former Superior Court judge Johnnie Caldwell. The Grip has now obtained recordings of three phone calls placed after Riggins phoned Fortune. In the first call, Martin contacts Fortune, and the county attorney references a previous conversation he had that day with Capt. Ron Buchanan, administrator of the Spalding County Jail. Fortune: I talked to Ron and found out. I got a call from Tami Riggins who’s telling me they weren’t handing out any more of the Gibson file because Johnnie Caldwell was gonna be trying to get it sealed, and I didn’t now anything about that, but I’ve talked to Ron and I’ve told him if Johnnie can get a temporary restraining order, that’s great, but if Johnnie doesn’t, we’ve got to turn these records over, you know, in a timely fashion. Fortune: One thing, though. Has Tami Riggins also filed an Open Records request? Fortune: Okay. All right, well, that’s fine. Just, you know, kind of mark the day. Fortune: And if we get a TRO, and I hope Johnnie does, great. If he doesn’t, we’re gonna have to turn them over. Soon after Martin called Fortune, Buchanan called Martin and the following conversation took place. Buchanan: I just got off the phone with Jim Fortune. Buchanan: If we get an ORR, just email it to him. Do the same as you did yesterday. Respond back to the person that we have received it and that we will, that we’re working on it, and when it’s ready, they’ll be notified. Buchanan: And if we, you don’t need to say anything about Johnnie Caldwell or anything like that because we have to wait for an order from the court. Buchanan: Yeah, there’s no need to tell anybody that we’re, that we, there may be a pending action to try to seal it. Buchanan: If we get it within the time limit, you know, then we’ll hold it. If we don’t, then we’ll have to release it. Buchanan: But we just don’t need no questions saying, well, why are we saying Johnnie Caldwell’s got something to do with it. Martin: Right. Right. All rightie. Buchanan: Just, you know, just respond like we did yesterday and wait. Buchanan: We’ll wait. I mean, we’re gonna probably gonna give it an extra day anyway, so the three days would be up – the one we got yesterday would be Friday, Monday, Tuesday, probably til Wednesday is when we’ll release. If we got one today, it would be Monday, Tuesday, Wednesday and probably Thursday. Buchanan: So, but, you know, hopefully if he’s gonna do something, he’ll go ahead and file the paperwork with the court and get a temporary order. Buchanan: And that will seal it until he makes a decision. Buchanan: But, I mean, that’s just all up to the people that’s contacting their attorney to do it. Buchanan: I mean, that really, it’s not our concern. Our concern is just that we’re receiving it and we will comply with the Open Records Act. Buchanan: Until we, you know, are notified not to. Martin: All right. Thank you sir. Although the Open Records Act states information should be released “without delay,” it does allow up to three business days for information to be prepared. However, at the time these conversations took place, the Internal Affairs investigative report in question had already reviewed, prepared and released to Melanie Bowen, also an employee of the Sheriff’s Office. Because of that, the only thing required to release the record to subsequent requestors was to make a copy of the prepared report. Buchanan’s conversation with Martin indicates that not only was the Sheriff’s Office not going to comply with Open Records requests without delay, it was determined the information requested would not be turned over within the maximum three day window. Following Buchanan and Martin’s phone call, the following telephone conversation took place between Capt. Tony Ranieri, head of the SCSO Criminal Investigation Division, and Martin. Ranieir: Hey. This is Capt. Ranieri. Ranieri: Are you having a good day? Ranieri: Okay. Well, just chill out with it. Sgt. Brown just called and told me what’s going on. Have you talked to the Sheriff about it? Martin: No. I mean, I went over there cause I thought Tami knew that Ruby was gonna talk to Johnnie Caldwell. Well, apparently she didn’t. Ranieir: Okay, so that’s where you left it at? Martin: Right. I mean, I haven’t spoke to him. I think just Ruby’s spoke to him. Ranieri: Yeah. Yeah. I gave her all the information. Well, you know, this morning. Martin: Right. Okay. But I, um, I told her I believe Buchanan said maybe Monday, I guess, if we haven’t got an answer we’d have to go ahead and release it. Martin: He said if Johnnie Caldwell was gonna do something, hopefully he’d go on and you know, do his part, you know, today. Ranieri: Well, yeah, he’s working on it and probably it will go, he’s gonna try to get it before a judge on Monday. Ranieri: Well, I apologize that you are dead set in the middle of this. Ranieri: Uh, you know, and I know it’s very frustrating, very upsetting for you. I’ll ease it just a little bit for you. Anybody else that requests this file, you can refer them to me. Ranieri: Uh, you know, that way, it’s gonna take you out of the middle of it. You are the records clerk, but I am telling you now that it is not to be released and if they have a problem with that, they can come see me. Martin: All right. Well, I certainly do appreciate that. Ranieri: Well, and I’m sorry and Sgt. Brown will take care of Tami. I’m not at the office because I’ve gotta come back in tonight, and I just informed her to tell Tami if she finds it in the, if it’s in the desire of her heart that she needs to contact an attorney, she can do that on her own time, but that file is not being released. Ranieri: So, if there’s any more problems with it, you know, please call me and let me know. Ranieri: And again, I’m sorry your dead caught in the middle of this, but hopefully, hopefully Johnnie Caldwell will do what he can do and if not, it’ll be released. Caldwell was successful in obtaining a temporary restraining order that was in place for approximately two weeks. He later voluntarily dismissed the TRO after The Grip obtained the Internal Affairs investigative report following the submission of an Open Records request for emails from the accounts of Beam, Ranieir and other Sheriff’s Office employees.